LG is all about speed, design and display - but how does it match up to the competition? We've seen a raft of quad-core phones launch during MWC 2012 and so it's time to pitch them against one another in a titanic QUAD BATTLE. Don't think you'll be able to get these handsets on lower tariffs though - they are all high-end phones that will be available for a real premium when they launch. Which has the best specs? Read on to find out. Naturally, all the phones are quad-core; that's what this is all about, right? The HTC One X, ZTE Era and LG Optimus 4X HD have Nvidia Tegra 3 processors (featuring that secret fifth core). The One X and 4X HD have Tegras clocked at 1.5GHz but the ZTE Era is clocked at a barely-noticeable 0.2GHz slower. The Huawei Ascend D Quad is the handset that sticks out on a limb, with its own Huawei K3V2 chipset featuring a 1.5GHz quad-core processor. All these phones are rather fine-looking - the One X features a Unibody design formed from rather cool polycarbonate (super-lightweight with the ruggedness of metal, according to HTC). In our hands on we also approved of the LG's design. "Approach the LG Optimus 4X HD and you do feel that you are looking at a premium phone with the dual metal rims running around the circumference, sandwiching prism detailing which is part of LG's new signature design." The Ascend D and ZTE Era are also no slouches in the area of design, although we weren't too impressed by the plasticky sections on the back of the ZTE. The One X and Optimus 4X are strikingly similar – both have a 4.7-inch, IPS (no OLED) 720p HD screen (720 x 1,280 resolution) boasting a pixel density around the 312ppi mark. This compared to the iPhone 4S which clocks in around 329ppi. The Huawei Ascend D Quad offers a near-4S density of 236ppi because of its smaller 4.5-inch screen; it's still 720p HD. The ZTE Era is the poor relation here, with a 4.3-inch, 540 x 960 pixel display. All the handsets feature Android 4.0 Ice Cream Sandwich. The HTC features the new Sense 4 overlay including HTC ImageSense, a new suite of camera features including improvements in shutter speed. LG has also added its own skin. The One X is 9.3mm thick, considerably more than the 8.9mm LG Optimus 4X HD and Ascend D Quad and 7.8mm thick ZTE Era. In terms of footprint, the One X is larger (as you'd expect) at 134 x 70mm compared to the Ascend D Quad at 129 x 64mm. The Ascend D Quad weighs 130g, as does the One X. We're awaiting confirmation of the remainder of the measurement stats. All these handsets have 802.11n Wi-Fi, HSDPA, HSUPA and Bluetooth 3.0 aside from the LG Optimus 4X HD which includes Bluetooth 4.0. All have accelerometers, proximity sensors, gyros and a compass plus A-GPS. The One X features Beats audio and an NFC chip. The ZTE Era even features an FM radio. All the cameras are 8MP with full 1080p video recording and LED flashes – the Ascend D Quad is the only one to stray with a dual-LED flash. The secondary cameras in the One X, LG Optimus 4X HD and Ascend D Quad are 1.3MP, capable of 720p video. The secondary camera in the ZTE is VGA. The LG and HTC have 16GB and 32GB of internal storage respectively, while the ZTE Era and Ascend D Quad both feature microSD storage as well as 8GB of internal storage. All the handsets have 1GB of RAM. 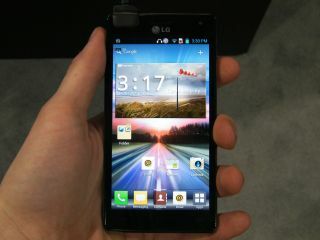 The LG Optimus 4X HD release date, HTC One X release date and Huawei Ascend D Quad release date are all set for Q2 2012, so expect them in the late Spring or very early summer. The ZTE Era release date in Europe and China is in the second half of 2012.